This system operates using diesel to power a high reliability Cummins diesel engine that drives a synchronous electrical generator. This electrical generator is a compact brushless design featuring automatic output voltage regulation to compensate for load and temperature variations. Each generator uses a Deep Sea control module with an integral stand and circuit breaker, facilitating user friendly operation. The DSE7310 is an Auto Mains (Utility) Failure Control Module suitable for a wide variety of single generator applications powered by diesel engines. These control panels monitor your utility supply and, an extensive number of features on your generator. The control panel will display warnings, shutdown and show engine status information on the LCD screen, remotely through PC and via text alerts(with external modem). Americas Generators has partnered with JCB Broadcrown to become the exclusive distributor of Broadcrown generators in the United States. We provide mobile, standby and prime diesel generators. 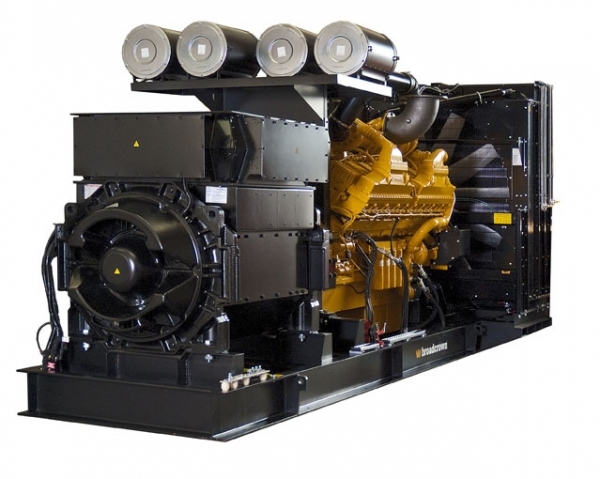 An Americas Generators diesel generator is built with only the highest quality components including John Deere, Cummins, Perkins, Yanmaar and Stamford Newage. With so many different types of generators to choose from, you can find whatever you are looking for at Americas Generators. Whether you need them for a backup power source, or as a way to save yourself power, we can help you find the perfect one today. Contact us toll-free at (800)434-0003.